Drs. Harrison and Tucker have been serving the Milan and surrounding areas for over 35 years. We are a dental practice devoted to restoring and enhancing the natural beauty of your smile using conservative, state-of-the-art procedures that will result in beautiful, long lasting smiles! 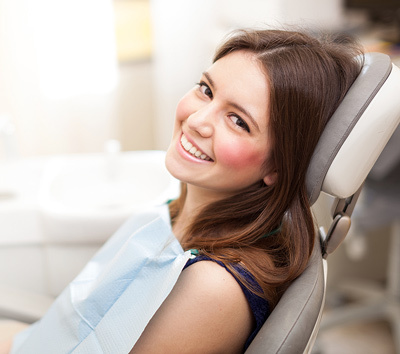 We strive to provide quality dental care in a comfortable, safe environment. Our desire is to develop relationships with our patients based on mutual trust and the best patient care available. A standard of excellence in personalized dental care enables us to provide the quality dental services our patients deserve. We provide comprehensive treatment planning and use restorative and cosmetic dentistry to achieve your optimal dental health. Should a dental emergency occur, we make every effort to see and care for you as soon as possible, many times the very same day. Building a foundation of trust by treating our patients as family is vital to our success. We understand how uneasy some patients may feel about their dental visits, and how we can make a difference in providing a relaxing and positive experience. Our entire team is dedicated to providing you with excellent, personalized care and service to make your visits as comfortable and pleasant as possible. Whether your dental needs are a complete exam and cleaning, a full-mouth restoration, or anything in between, we promise to provide you with exceptional care as we enhance the natural beauty of your smile. These are just some of the many procedures and services we regularly provide to our patients – with a gentle touch, and stunning results. Your smile is our first priority, and we'll give you something to smile about. Most of our patients come from the referral of an existing patient and we would like to thank you for putting your faith and trust in our office. We like to spend time listening to and understanding your concerns and responding with the best treatment options for you. We will personally call you after a major procedure to make sure that general pain is relieved, problems are resolved, and your health improves. Our family atmosphere provides a level of comfort and we pride ourselves in treating our patients like family. Did you know that the American Academy of Pediatrics recommends that children have their first dental exam no later than the age of one? 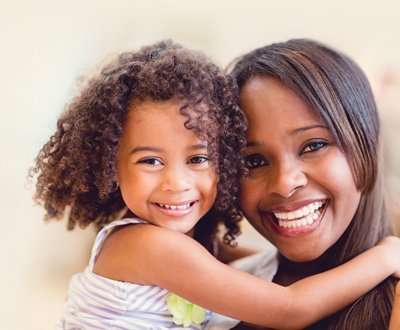 Let our friendly and talented team introduce your little one to lifetime of good dental habits! 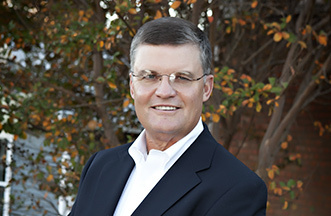 Dr. John Tucker was born and raised in Milan, Tn and graduated from Milan High School in 1973. He attended the University of Tennessee at Martin and then graduated from the University of Tennessee Dental school in 1981. Dr. Tucker has a love for advancing his knowledge in dental procedures and has completed hundreds of hours of continuing education in all areas of dentistry. 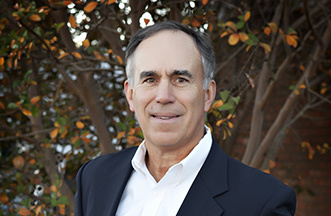 Dr. Tucker began providing orthodontic treatment and dental implants in the early '80s and prides himself in providing advance dental procedures to his patients. 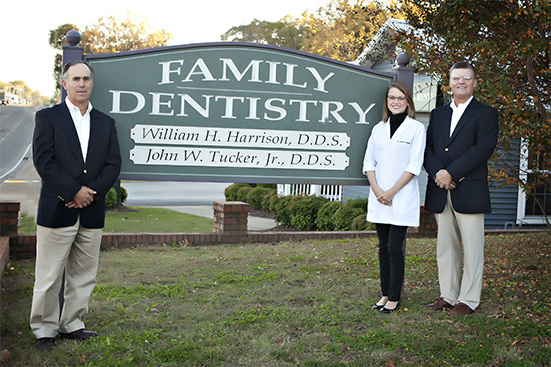 Dr. Tucker and his wife, Kathryn, are members of the Milan Cumberland Presbyterian church. They have two children, Tripp and Lauren, and three grandchildren, Aven, Tucker, and Ford. Dr. Bill Harrison was born and raised in Milan, Tn and graduated from Milan High School in 1973. He attended the University of Tennessee at Martin and then graduated from the University of Tennessee Dental school in 1981. Dr. Harrison emphasizes a patient-centered, personal approach to his treatment by treating the patients as individuals and taking the time to get to know them. He knows that a successful dentist must understand the patients needs and goals in order to achieve results that everyone will be happy about. Dr. Harrison and his wife, Jan, are members of the First Baptist Church of Milan and have two children, Hudson and Whitney. 2011. 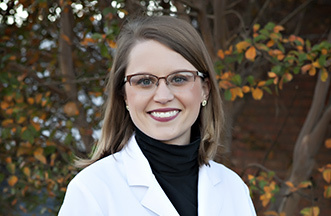 Upon graduation, Dr. Trammell practiced in a pediatric practice in Bartlett, Tn where she developed a passion for children's dentistry and plans on expanding the services available in this practice. Dr. Trammell and her husband Dr. Chip Trammell, an orthodontist at FMY Orthodontics, are members of Northside United Methodist Church. Dr. Trammell loves spending time with her 2 children, Aven and Tucker.